Are you thinking of giving a modern touch to your home furniture? There are countless ways to renovate or raise up the aesthetics of a home; things you can do quickly that can accommodate any budget, and one way is to use stylish Scandinavian legs for your modern furniture. By outfitting your modern furniture with attractive furniture legs, you can achieve that modern makeover look that you are after. It is amazing how much furniture legs can change the overall appearance of the furniture in your home. So, when you are looking for a modern design and contemporary feel, Scandinavian legs are the best choice around. These have solid, bold detailing, clean lined designs, and bright colours to choose from, which makes them highly desirable to furniture designers across the world. When talking about modern style furniture, everyone has their own understanding of the concept. Some connect it with a particular colour choice, while others believe it is the use of newer materials in a simple, streamlined fashion. Irrespective of what other people may believe, a modern or newer piece of furniture with attractive legs stands out. The actual type of Scandinavia furniture legs to use, whether made of wood or metal, depends on where the chair or couch is meant to be placed. When you do decide to get new legs for a modern piece of furniture, for whatever the reason, choosing a style that compliments every other piece of furniture leg in the house is the goal. 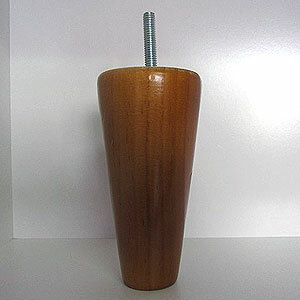 The best choice is Australian made Scandinavian furniture legs by Peter Rose Enterprises. Whether it is for the use by professional furniture makers, in the production of modern style furniture, or for someone who just wants to add some height and style to their home furniture, Scandinavian furniture legs from Peter Ross Enterprise are an ideal choice. Here at Peter Ross Enterprises, we specialising in both wooden and metal furniture legs, and in crafting hand-made, custom, wood furniture, and we can literally create any hand-made, wood product to meet any need. If you are seeking custom-made, high-quality, wooden, modern furniture and furniture legs, then you will find what you want here. © Copyright 2017. All rights reserved by | » Modern Style Furniture Using Scandinavian Legs Peter Ross Enterprises Melbourne | Website Designed by: Netwizard Design.